MyRegistry.com is the premiere online destination for universal gift registry services. The site gives users the ability to create one centralized registry for any gift-giving occasion including weddings, baby showers, birthdays, graduations, housewarmings, holidays and much more! MyRegistry.com allows you to create registries from any store in the world plus you can sync store registries you already have. Imagine how convenient it would be for your wedding guests to find all of your registries in one place? Instead of giving you a gift card to a store you might not use, MyRegistry.com gives you the option let your guests purchase items from your registry in the form of a cash gift. Then you can decide whether to purchase the item or use the funds for something else. 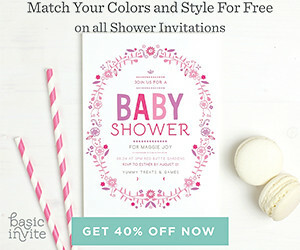 MyRegistry.com also offers baby and household stores where users can shop right on the website, offering members easy access to top brands at great prices, often with free shipping. But MyRegistry.com is not just for individuals, many organizations and nonprofits also use the site as a fundraising tool and convenient resource for requesting supplies and other items for donation. Don't forget to follow MyRegistry.com Twitter and like them on Facebook for member only exclusive offers and deals.